Will a Gluten-Free Diet Help with My Problems? 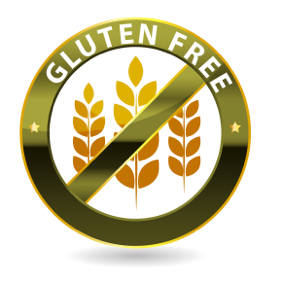 Home › Resources › Will A Gluten-Free Diet Help with my Symptoms? Will A Gluten-Free Diet Help with my Symptoms? Gluten is a naturally occurring protein found mainly in wheat but is also present in barley, rye, and oats. The most well-known gluten intolerance issue is Celiac Disease; people who have Celiac will become very ill if they consume even the smallest amount of gluten. In recent years, gluten-free foods have surged in popularity and gluten-free diets are being recommended as a solution for everything from headaches to arthritis, allergies, and everything in between. There is no evidence to prove that gynecological issues are caused by consuming wheat. Likewise, there is also no evidence to prove that these conditions can be significantly improved or cured by a gluten-free diet. However, if you browse online you will find ladies all across the country who once suffered from Endometriosis (and similar conditions) and are finding miraculous results with a gluten-free diet. Doctors across the nation are starting to recommend a gluten-free lifestyle for pain management; some Endometriosis-associated websites are beginning to jump on the bandwagon as well. Our staff wants to see you pain free with restored quality of life. We understand how frustrating your symptoms can be and how some ladies will try anything just to find some relief. We don’t endorse any particular diet for Endometriosis related disorders (not including the low-acid diet for IC) although we will be supportive of any diet that works for you. If you are interested in trying a Gluten-Free diet, we hope you will seek the help of an experienced nutritionist or a dietitian. ‹ What is the Mirena IUD and Why is it Recommended?